23 × 27 cm, 104 colour ills. Hardcover. 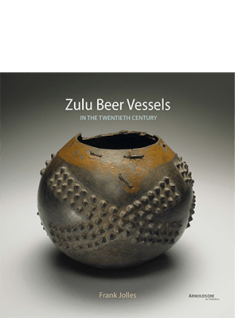 The unique Burundi wire model collection of the Swiss collector Edmond Remondino documents an early phase of a craft that today enjoys international renown with collectors and researchers. 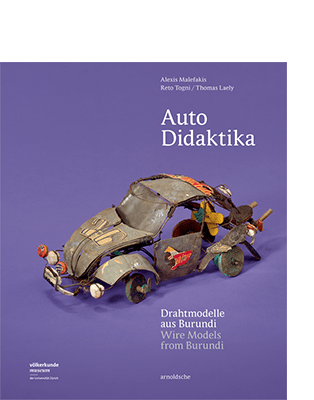 In the 1970s and 1980s the models evolved from real prototypes such as racecars from the Rally du Burundi; today, as then, the extraordinary aesthetic, alternating between minimalism and comic-type exaggeration, captures the imagination. However, the cars, planes and helicopters, often referred to as ‘recycled art’, are in no way assembled from rubbish. In Burundi old tin cans and metal wire are considered an important basic material in handicraft – also for everyday objects. 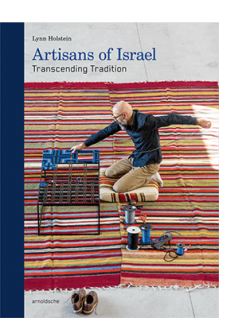 Interdisciplinary essays discuss the works of the self-taught working engineers in terms of their skillful production with wire and metal and the history of Burundi as well as from an industrial design viewpoint and show completely new aspects of a genre of African art that is now more than forty years old.